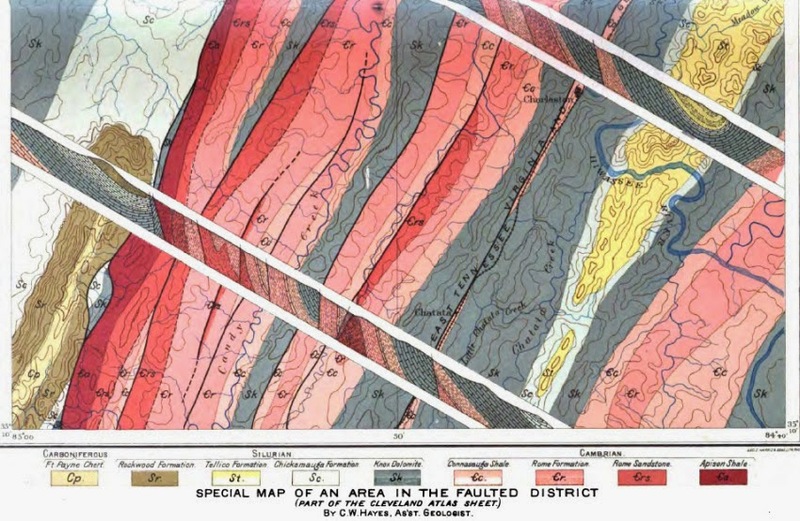 In a box with a moveable piston he folded and crushed layers of beeswax and compared the structures with the large tectonic folds and thrusts he had mapped in the Appalachian Mountains. He realized that folds and nappes could form also by horizontal movements and compressive forces – not, as still many geologists argued, only by vertical movements. Fig.1. 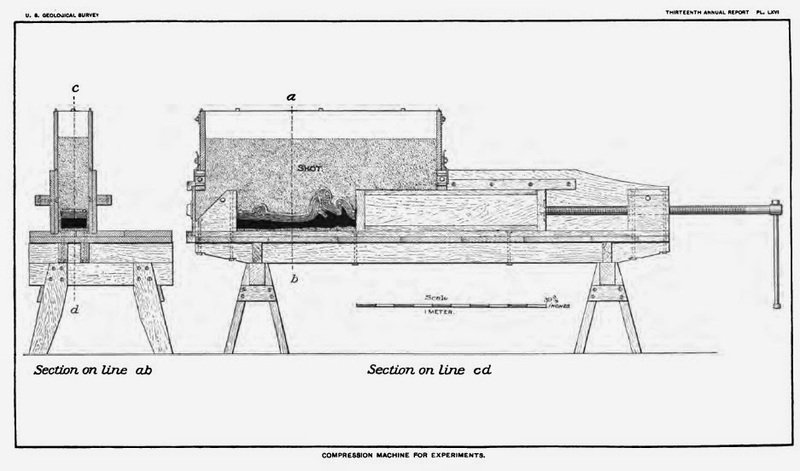 Willis´”Compression Machine for Experiments” from “The Mechanics of Appalachian Structure” (1891). Fig.2. 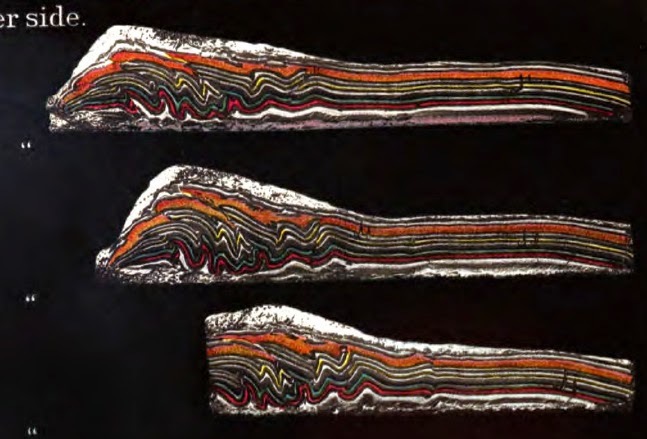 Miniature mountains made by the “compression machine” – the strata first form regular folds, however as the shortening continues, shear zones develop and single “tectonic nappes” start to pile up. Fig.4. 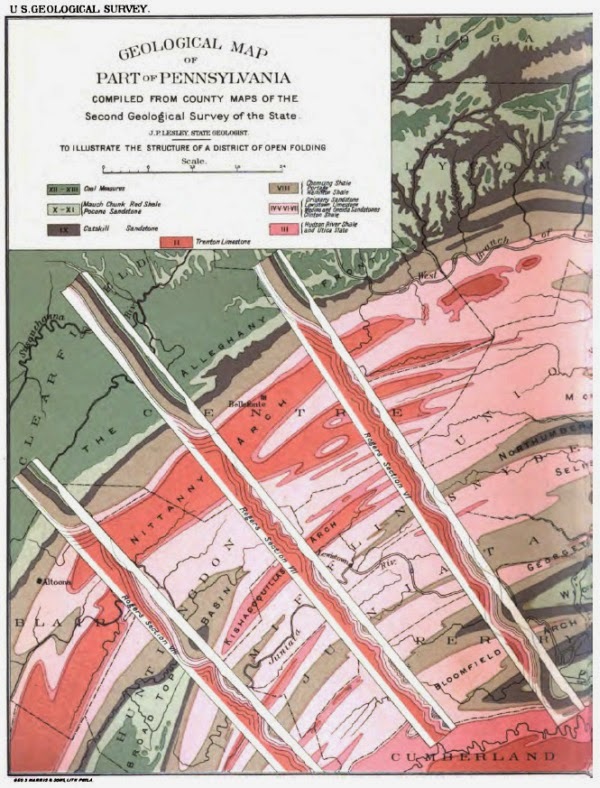 Willis subdivided mountain ranges in a central zone, characterized by folds, and an outer zone, characterized by shear zones (geological map of Cleveland in Tennessee). Today we know that the conformation can be much more complicated than that.